Ability Text: Proliferate. (Choose any number of permanents and/or players, then give each another counter of each kind already there.) Draw a card. 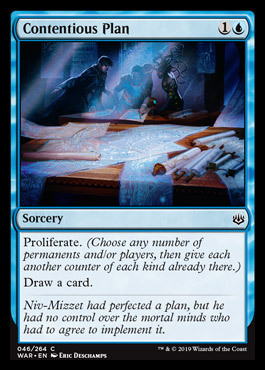 Flavor Text: Niv-Mizzet had perfected a plan, but he had no control over the mortal minds who had to agree to implement it.